Remember, remember the 5th of November is a line wasted on pet owners; of course you remember it – you’ve probably been dreading it for weeks! Fireworks might well be a treat for the eyes but for the ears, it’s a completely different story. It’s worse for our pets of course, they don’t know to expect firework noises and have no idea what they are. To help owners out as best we can, we’ve come up with some useful tips to help you and your pet get one over on the Firework season! The idea behind this is that if your pet can get used to loud noises, they won’t be as frightened of them. This can take a while to achieve so it’s well worth starting a month or so in advance of Firework season (perhaps remember this for next year.) Play firework sounds at home, quietly at first and gradually increase the volume over time. Remember to be patient; if your pet shows any signs of distress, stop the noises for that day and begin again the following day with a lower volume or from another room. Hopefully your pet will get used to the background noise and will be able to go about their business without getting frightened. Keep your pets indoors! They might panic as fireworks go off so it’s a good idea to keep them safely inside so they can’t run away into danger. Try drowning out the sound of fireworks using loud music or other background noise. We also highly recommend closing the curtains. We recommend walking your dog before it gets dark (or as soon as possible afterwards). Keep them on the lead too, where possible, this will lower their risk of bumping into old sparklers or anything that may have been dropped on the ground. See Bonfire Night as a chance to strengthen the bond between you and your pet by playing some games – searching games, tug of war or a low-key, inside-friendly game of fetch can all work wonders. Toys and food are great distractions, especially treat toys like stuffed kongs. Top tip: for maximum effect, freeze your kong toy, filled with a food your pet loves, so that it lasts longer. Every pet should have a safe zone. A place to go that is theirs and theirs alone, where they know nobody will intrude or disturb them. In most cases, this will be their crate. Simply cover it with a blanket so your pet can hide and feel safe as they do so – they can’t see out and others can’t see in. Remember to keep the door open so they can come in and out as they please, this is especially important during stressful times like Bonfire Night. You might want to protect your pet from the loud noises by holding them close and showering them with cuddles but this isn’t the best way. They’ll likely be stressed and confused by the fireworks so it’s best not to make them feel claustrophobic – let them come and go from you as they please. Don’t forget to update your pet’s microchip details with all of your current contact information. You can do this by calling the microchip company you’re registered with; the info should be with your pet’s paperwork but if you can’t find it, contact us – we can help. Have you considered therapeutic products? This may take some preparation but if administered correctly, they can really help you reduce your pet’s feelings of stress. We recommend Adaptil, Feliway and Vetpro – feel free to ask us if you need advice on the best products for your pet. If your pet has a serious noise phobia or reacts more fearfully to firework noises than you deem normal, it might be wise to seek a professional behaviourist. If you do this, remember that every behaviourist is different, so it’s important to do your research beforehand. If you need further advice on anything mentioned in this post, please don’t hesitate to contact us today! 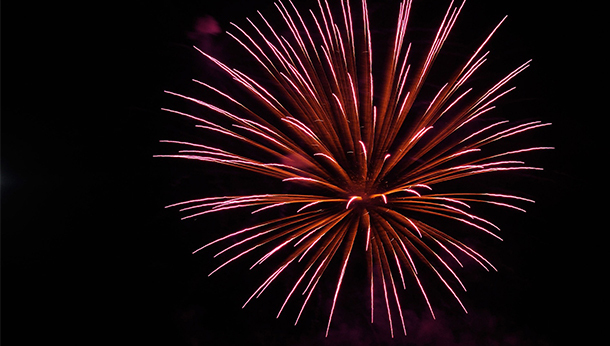 We hope firework season runs as smoothly as possible for you and your pet.